But do they really know anything we don't? German carrier Mobilcom Debitel seems awfully certain of the iPhone 5 release date. So certain, in fact, that the carrier has begun advertising for a new iPhone coming in September, ahead of any announcement from Apple. The iPhone 5 announcement is expected to come during an Apple event on Sept. 12, where the iPad Mini could also be announced, and both could be released on Sept. 21. But Mobilcom Debitel apparently couldn't wait - "In September, it's finally time for a new generation of smartphone to go on sale," its site read on Tuesday. "Mobilcom-debitel allows you to find free e-mail about everything worth knowing about iPhone." While Mobilcom Debitel may claim to have all the juicy details, it seems the carrier is as much in the dark as anyone whose name isn't Tim Cook. In fact, its entire schtick appears to be based on pure speculation. "The new smartphone special surprises?" the carrier asks on its site. "Perhaps a bigger screen of 4 inches or a thinner cell touchscreen? The world expects a faster processor or higher graphics performance? Maybe even a memory of 1 GB? It will be exciting…"
All of Mobilcom Debitel's claims simply corroborate what's already known about the iPhone 5. A photo of the iPhone 5's backplate leaked in May, indicating a 4-inch screen, and a report in June claimed the new iPhone will have 1GB of memory. 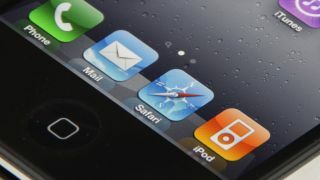 Numerous reports have claimed that the iPhone 5 will feature a thinner, lighter screen as well. And a faster processor and better GPU are a given. So while Mobilcom has nothing to add to the iPhone 5 rumors, at least their information confirms what's already known. Let's just hope for their sake that the iPhone 5 information is removed before Apple notices.